We have two fun incentives from Bip & Bop for you lovelies today! Use the code BRIDE20 for 20% off of B&B orders $100 or more, anytime. Or if your order comes under the $100 mark, use the code GWS15 for 15% off (no minimum purchase), valid now through March 24th! 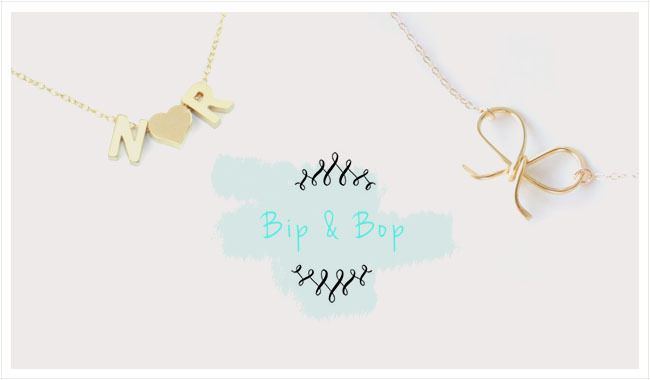 Thanks so much to Bip & Bop for the generous offers + happy bauble shopping, gals! Very Unique jewellery designs.so creative and beautiful.If we are gifting this to someone who is very special..no doubt they will definitely like it. Green Wedding Shoes always keeps it classy but fresh with ideas like this. I really appreciate that they don’t promote a bunch of chintzy plastic cups with “BRIDESMAID” printed on them, or canvas totes with people’s names. That has been done over and over again, and it’s time to shake things up! 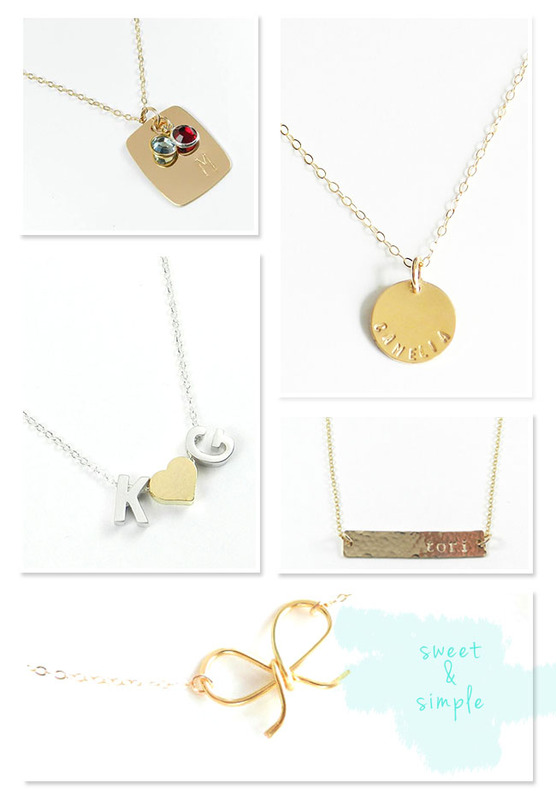 My favorite from this list is the Bip & Bop necklace with the gold disc imprinted with a name. That is a nice alternative to a monogrammed anything, and is more likely to be worn and used after the wedding day. Please do check them out and let me know what you think?